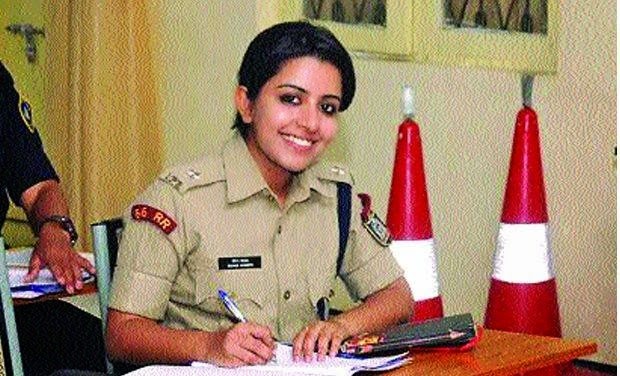 civil services examinations in 2012, and is now undergoing her training in Hyderabad’s Sardar Vallabhbhai Patel National Police Academy. As a part of her training, she was posted in Kochi for two weeks during which this photo was taken. But many of her fans spread the rumour that she was posted as ACP in Kochi. In fact, she is likely to get her first posting in January next year. i am sure by looking at her the crime rates will come down!!!! Best wishes for her courage to join a service which is admired in public and cursed in private in India.Let us hope youngsters like her would change the Indian Police Service as an honest and reliable service oriented organization for Indian citizens in the near future! How hollow and backward our society is...This bright, intelligent young lady is being being noticed ONLY for her looks??!! Not one comment has mentioned anything about being proud to have a lady as an officer. And what about the less pretty ladies: are they not to be noticed simply because they don't please the eye? Their achievements at cracking the toughest exams of the country are all ignored....Shame on this backward mindset. It's just letching in another garb. 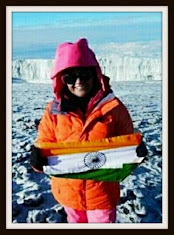 Salute to Indian Lady...Hearty Congrulations.